I'd love to see a Dark Souls movie starring Shia LeBeouf. For obvious reasons. The crazies behind Dark Souls II have announced a Dark Souls live action event in the form of this little teaser. There is going to be some sort of Dark Souls thing starring real-life people. I can see the casting auditions now. "Let's see your skills in action. How would you pull of, say, being stabbed to death by a horse-demon? Good, good. Okay. Now how about being crushed by the scepter of an immortal stone colossus? Not bad!" Nothing about that really screams Dark Souls to me. There was a dude in armor, and he had a sword, and also there was wind. No monsters to fight, and he also didn't die like a million times. Let's hope the final product accurately represents this much-beloved franchise. 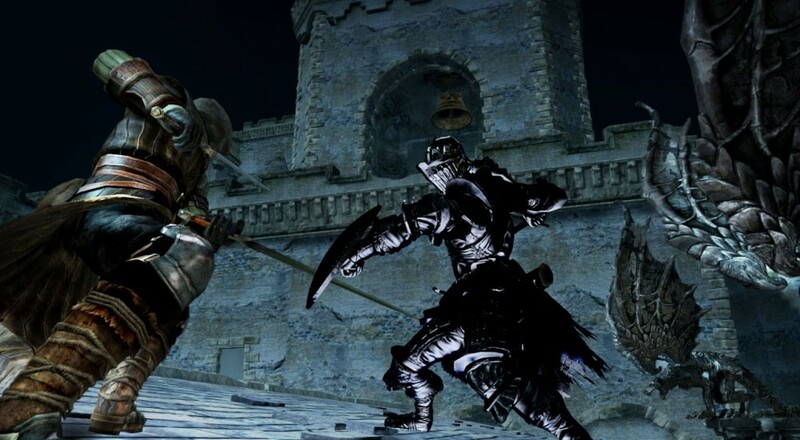 In actual Dark Souls news, producer Takeshi Miyazoe has stated there are no plans for post-launch DLC for their new title. Miyazoe cites wanting to provide a complete experience right out of the gate as motivation for not planning additional content. I can get behind the logic of wanting to craft a fully whole game and not have to worry about it past release, but DLC offers developers the chance to add in stuff they couldn't in the main game. Granted, he stated there was no DLC planned for after release, so maybe one of the developers will have a slick new idea post March 11 and implement it then. Better to take that inspiration and utilize it than to cast it to the wind.